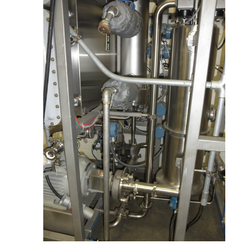 Pioneers in the industry, we offer portable cip system from India. Our firm offers an exclusive range of Portable CIP System, which is useful to Wash, non movable equipments like FBD, Blenders, Mixing tanks and Storage tanks. These products are manufactured from fine quality material and are available at industry-leading prices. Our system consists of following components. Looking for Portable CIP System ?